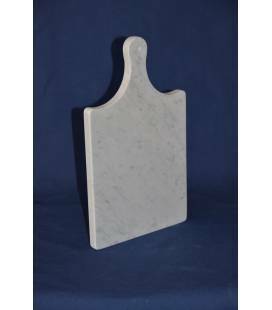 Elegant and practical white Carrara marble chopping.Our cutting board, keeps cool your food when brought to the table. 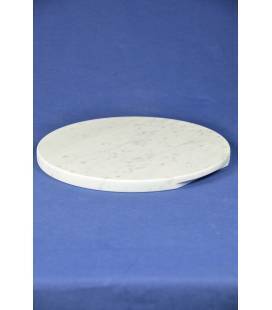 italian handicraft, pure white Carrara marble. 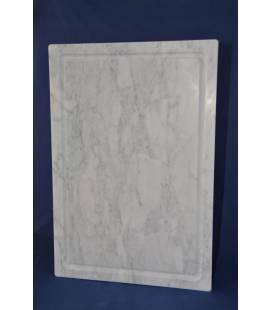 The "old style" chopping board in white Carrara marble is an elegant and practical article that reminds a little of the cutting boards of once.The material and the shape of this cutting board, make it suitable for any type of furniture. italian handicraft, pure white Carrara marble. 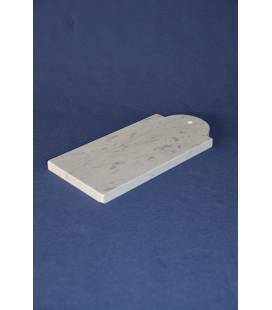 The 60x40 cm white Carrara marble cutting board is equipped with practical wooden feet to avoid damaging your surfaces. It also has comfortable side joints that will allow you to carry it comfortably. On its surface there is also a collection channel along the entire perimeter of the cutting board.